Enabling rapid growth by revamping SuiteCommerce B2C web store. 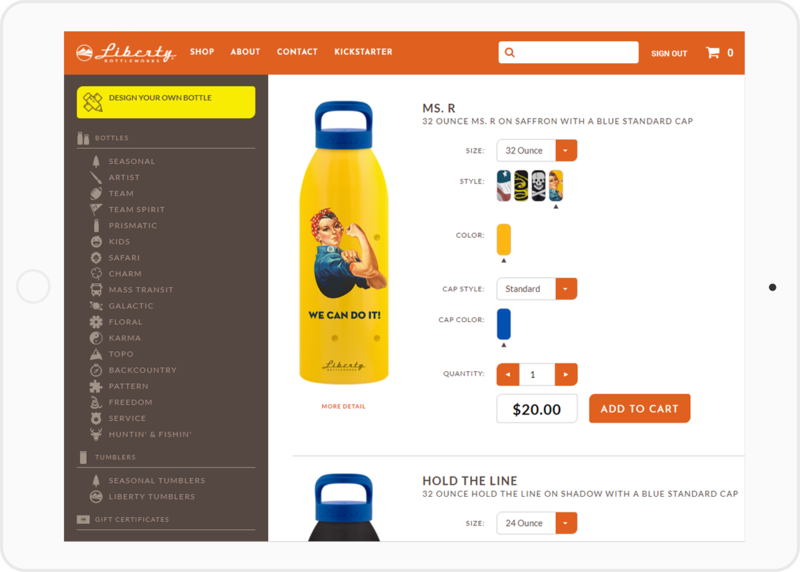 Liberty Bottles selling drinking bottles to athletes, outdoor enthusiasts, as well as companies looking for promotional merchandising, needed a website that could cater all customer segments needs and at the same time reflect who they are as a brand and showcase their one-of-a-kind designs in a visually stunning way. User experience was enhanced by also adding many key features such as Shop All Page, Wishlists, Recently Viewed Items, and Ratings & Reviews that helped simplify the ordering process. 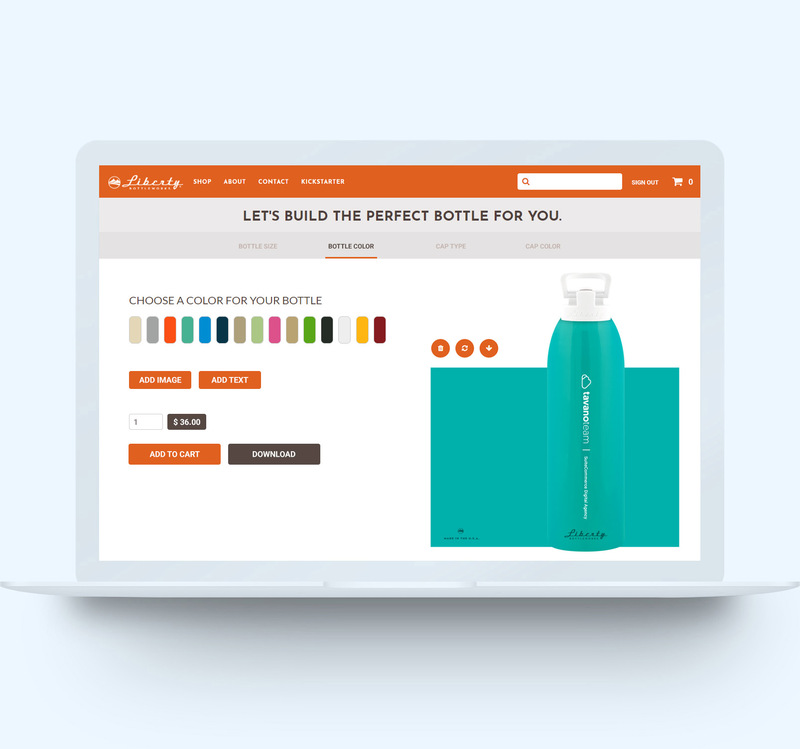 However, the most important feature developed is the Bottle Builder, a visual product configurator where shoppers can design their own custom bottle. Select bottle color, size, cap color and type. Additionally add custom text and upload your own images to make this your own design. See in real-time how your bottle is looking! Enter quantity and get prices for your custom bottle! Simply add it to cart to begin checkout. 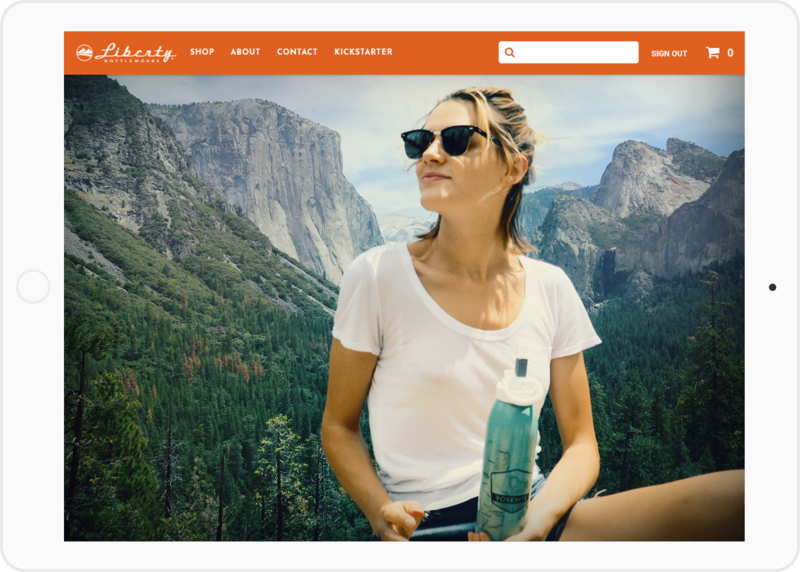 With the number of website visitors coming from smartphone and tablet users increasing in all markets, SuiteCommerce allows Liberty Bottleworks to deliver a mobile-optimized experience that displays elegantly across all devices.